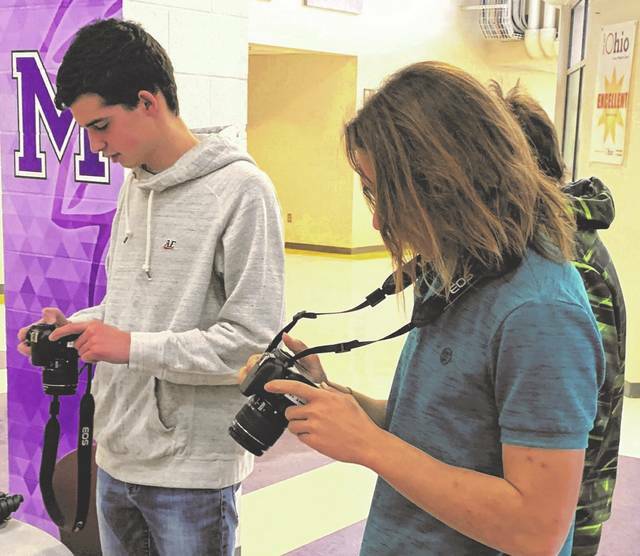 MOUNT GILEAD — Photography, Photo Editing, Video Production and Digital Illustration are now being offered at Mount Gilead High School. Tom Lewis is the new instructor for the DMT program. He brings 28 years of visual arts teaching experience, including 18 years in the Digital Media Field. He comes to Mount Gilead from Plymouth High School and North Central State College. The new program utilizes the latest Adobe Creative Cloud software including Photoshop, Premiere Pro, and Illustrator. The Adobe Suite is industry standard software for Digital Media. The new courses fall under Career Tech Education and will help ready the Mount Gilead students for real world Digital Media careers or Technical College. The new courses include Video and Sound production. Digital Image design, Multimedia production and Digital Photography. The intended result of the DMT program is to allow students to explore their creativity in ways that will challenge them and hopefully change the way they think about communicating an idea. Students will leave the program will a new set of skills of application, a greater understanding of visual communication, and a way of transferring that knowledge to future learning. The program was recently awarded the Martha Holden Jennings Foundation grant in the amount of $11,150 thanks to Lewis. The grant funds have been used to equip the new program with new Canon digital Cameras, a new large flat screen TV, and various studio lights and tripods. “The New DSLR cameras are a game changer, allowing students to use high quality equipment to take professional photos. The new cameras also have the ability to shoot HD Videos for the video production courses. Currently there are fourteen students enrolled in Digital Imaging I, a CCP course through North Central State College,” a news release states. Next year will be the official start of the full Digital Media program. Lewis says he looks forward to the program producing students with real world career-ready technology skills.